Today on #MakersTV I talk about Facebook Ads Targeting, and what types of audiences you can be targeting with your facebook ads to gain more followers, get more traffic, and sell more stuff. Facebook ads can seem really tricky to get right, but don’t give up after your first go if it didn’t work! Learn how to utilise facebook advertising properly because it can be really powerful for you and your business. The very firs thing you need to do before doing any kind of advertising is knowing who your customers are. 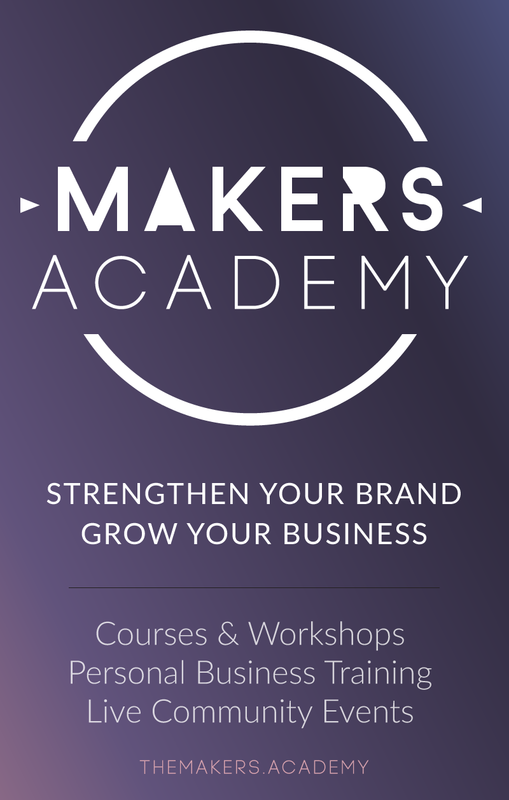 I cover this in the Makers Academy if you want to go through that and I also have a free Customer Profile workshop that will help you know who your customers are. Moving along with this episode’s topic, I give 5 examples of audiences you can target, and also an example of a 3 series ad campaign that I would follow if I were trying to advertise a product on facebook. This is the broadest audience you can do which targets by demographics and overlaying interests. You can be very specific and niche down but at the same time it can also be a cold audience. A cold audience are people who have not heard about you or your business and would need some warming up to. FB engagement is very effective especially when you make videos. You can target people who have watched a certain length of your video, who have liked it, who have engaged or liked your page. These are people who slightly know who you are. They are warmer than a cold audience and could be quite effective. If you have a mailing list, you can upload that on Facebook and it will target those people and match them up with their database. You do need to make sure that your customers visiting your website are aware that you are using cookies, pixels, and those sort of thing. They should also know that you can use their information to send them relevant content. It’s important to note though that you can’t target those who have unsubscribed from your mailing list. This just simply means that you can easily target those who have already visited your website. Facebook looks at the data points of people from the data that you upload and target those who have similar attributes or data points. So you can advertise to those people. There are so many variables and not just the people you are targeting. It may influence how well your ad does but there are other stuff that goes into it. Like the image, text, layout, and other factors you need to test to know which one works for you. You can also target friends of friends or friends of followers of pages you don’t follow which gives social proof. Think of your ads as a set of three (3) and funnel them through a set of ads. Do An Intro ad getting people into your website. Then a Come See This ad showing them what is interesting in your website that is free. and finally the This Will Help You ad showing your customer what product you sell will help them get where they want to be. So that’s pretty much it and if you would like to have an in-depth training on facebook ads, I have a training based solely on that in The Makers Academy. You can also get instant access to the free resources of the Makers Collective to help you grow your business and strengthen your brand so that you can do something everyday which you are more excited about!